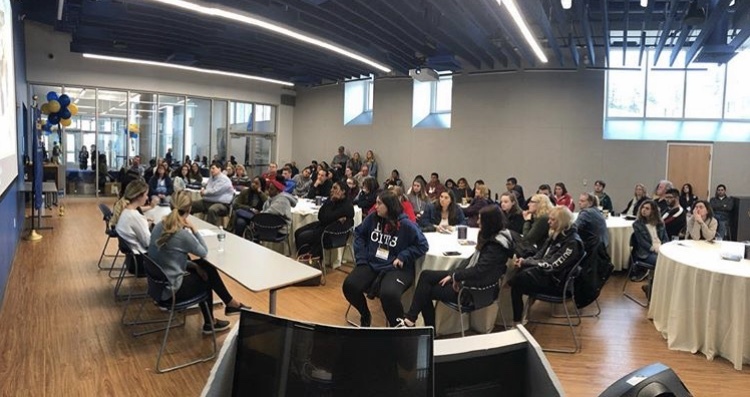 For the past two Sundays, Pace’s campus has been filled with accepted students and their families, along with faculty, staff, and current students in yellow ASPIRE sweatshirts. All of these factors came together for another year of Pace Bound events aimed at showing off everything Pace has to offer the incoming first-year class. Pace Bound events include as many aspects of life at Pace as possible in order to help accepted students and their families decide which college is best for them. The day is filled with presentations from each school, the study abroad office, career services, residential life, the Center for Student Development and Campus Activities (SDCA) and more. 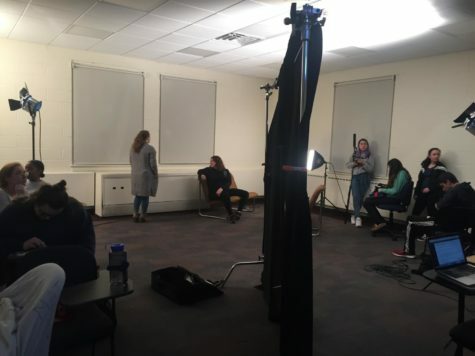 It can be an information overload and one can easily miss something, but luckily, junior advertising and integrated marketing communications major Julia Kennedy took over the Pace Instagram story to highlight different aspects of Pace Bound. Kennedy was excited when presented with the opportunity to take over the Instagram for notable campus events. “My goal, even though it sounds corny, was to be the next face of Pace,” explained Kennedy. Throughout the day, Kennedy ran around campus to document as many of the different presentations as possible. She made sure she went to all of the individual school’s presentations as well as presentations that would be of interest to the majority of people like the SDCA’s presentation on learning outside of the classroom through campus involvement. For one accepted student, Natyra Krasniqi, hearing from Pace students about their experiences at these presentations was a valuable part of the event. Krasniqi emphasized how welcome she felt on campus from staff and students, and her overall excitement about her Pace Bound experience. She enjoyed hearing about opportunities for business majors as she is currently planning to major in finance. Like Krasniqi, Kennedy attended a Pace Bound event in her senior year of high school, and she describes it as a positive experience that still benefits her today. It is important that Pace Bound events emphasizes the opportunities and internships available for students in all areas, including business and nursing, which Kennedy believes sets Pace apart from other schools. For all incoming first years, Kennedy suggested getting involved on campus.